Having a lonely child is one of the harder things you will have to deal with as a parent. It’s a situation where your child’s suffering makes you feel unable to help them. Helping your children navigate the complexities of social structures and interactions is fraught with much more complications than teaching them to safely cross the street. While you can’t force other little boys and girls to be your child’s friends, you can offer a few pieces of advice not only to your child but to yourself. Read on to find out what you can do to help your kids make friends. For children, awareness of friendship issues and popularity begin to surface around 7 years of age but can start much earlier for parents. Parents often fret about their children’s ability to make friends, avoid bullying and be a well-rounded individual from the time they’re born. While a child’s social rejection can bring out the overprotective (and reactive) parent in all of us, it’s important to step back and take a deep breath. At these formative stages, children’s views towards others can cycle rapidly. Someone they hate one week can become their best friend the next. If you see an ongoing problem with your child and their ability to make friends, such as complaints of loneliness, general sadness and stories about lack of friends, start by getting all the facts. While you may be tempted to react only on your own emotions and your child’s word, consider talking to their teacher. Your child’s teacher is a great resource to you as a parent as they can observe your child’s interaction with other children on a daily basis. Sometimes a child’s stagnant social life can be caused by minor, but off-putting behaviour. While this may be difficult to see and address as a parent, it can help your child in the long run. Gently coaching your child through some role-playing can help them come out of their shell. For example, shy children will often mumble, look down or hide when being introduced to people. This can be interpreted as having a lack of interest in making friends. Try to help your child maintain eye contact, speak louder and use the other person’s name. Remember, work with your child’s personality. Not everyone is an extrovert. While you may not know exactly what to do when your child comes to you and complains that they have no friends, it’s very important that you take the time to listen to the entire situation and let your child express their emotions before jumping in with advice. Being attentively listened to can empower your shy child and will allow you to help gauge the situation accurately. 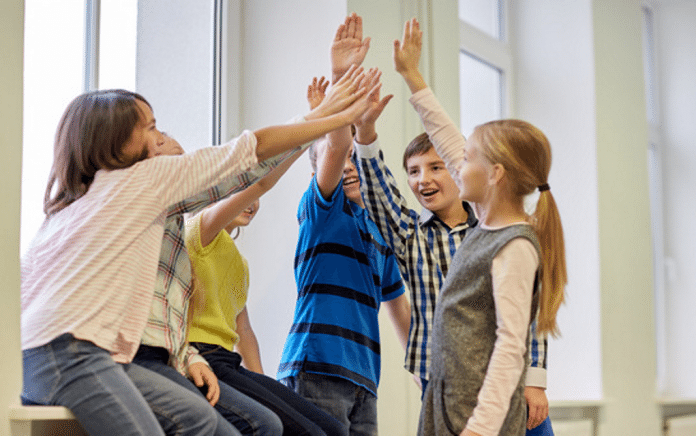 Finally, if you see your child coming out of their shell and you would like to help them along, consider arranging social activities that you know your child enjoys and feel at ease doing. Try exposing your child to different social activities, such as one-on-one time or in a large group or in organized activities. Remember to always stay emphatic but ultimately objective. Don’t confuse your feelings with your child’s and remember that some children are naturally loners and enjoy being by themselves, even if you didn’t as a child.